One year ago, Taylor Grzelakowski was graduating from Madonna University with a degree in Business Administration with a concentration in Marketing and Sales. He wasn’t going to get drafted, so he was heading to the Utica Unicorns of the independent United Shore Professional Baseball League, and he was happy about it. Last night, Grzelakowski went 1-2 with two walks and his third home run (off of big leaguer Nathan Eovaldi) for the Ft. Myers Miracle. He’s hitting .322 on the season. But baseball was his favorite sport, the sport that provided him an opportunity to continue playing in college. He was also named the WHAC Player of the Year as a senior when he hit .426/.538/.756 (1.294) with 16 doubles and 12 homers in 49 games. 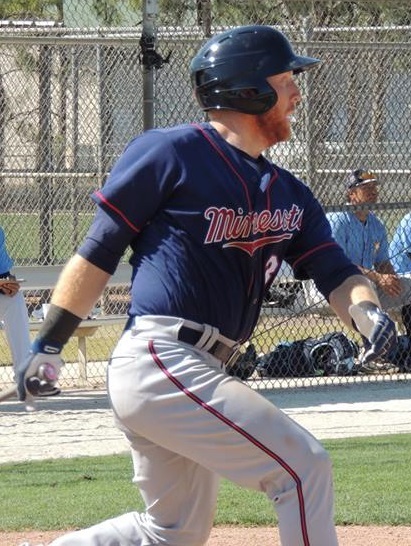 The Twins signed three players out of the USPBL last July. Along with Grzelakowski, they also signed pitchers Kevin Marnon and Randy Dobnak. But weight loss has been an ongoing goal for Grzelakowski for years now. It’s something that he’s worked very hard at and achieved some impressive goals. “My weight loss started my redshirt freshman year of college. I have lost a total of 60 pounds since then. I have worked with two nutritionists, the Twins nutritionist Kate Moran and my college nutritionist Maureen Stoecklein. Both have worked countless hours with me to master my diet plans during the offseason. I also worked with the trainers at Detroit Mercy, Nick Wilson, Trevor Klump and Allen Son." NAIA. Non-drafted. Independent ball. Sign with the Twins. Play 12 games for the GCL Twins. With all that, he skipped Elizabethton and Cedar Rapids and jumped directly to Ft. Myers, and he is more than holding his own with the Miracle. Through 17 games, he’s hitting .322/.412/.576 (.988) with six doubles and three home runs. He believes that his greatest strength can also be his area of growth potential. Grzelakowski also is quick to give credit where credit is due and thanks those that have helped him get to this point in his career. Away from the game, Grzelakowski keeps busy. “I enjoy playing video games, following other sports and spending time with friends, family and my fiance Sarah." This young man may be the most pleasant surprise in the organization this year, Seth.And at a position of real need for the organization. His performance this spring is almost too good to be true.Can it continue?I guess we will have to stay tuned to find out.If he does, is a summer promotion to Chattanooga too much to wish for? Thanks for a great article on this new Twin, Seth. Another interesting "Get To Know" installment. Thanks, Seth! Seeing as how he was un-drafted, he's not a name I was familiar with at all. And from Madonna University, of all places! But as you noted, he's putting up good numbers so far this year. Looks a player to watch. With a tongue-twister of a last name like Grzelakowski he's bound to have a nickname. Any idea what that is? Or is it up to us to give him one? Thanks for article, Seth. Such a good story. It's remarkable he's been able to move to A+ ball with only a season of catching experience. With his demeanor and work ethic, he should be successful wherever life takes him. I wish him well! I was a true skeptic when it came to this guy.Glad the scouts know more than I do.Pretty impressive for him to jump that many levels and be hitting so well.Definitely someone I will be watching and rooting for. Any concept on his catching? It would seem that being new to the position would mean he needs at least a few years in the low minors to learn it. But what do I know? His nickname is "Gelly." I worked really hard on the article to make sure I spelled out his full name, and typed it right. But I should have mentioned the nickname at least once. Thanks Seth. What a great story! How on earth does an undrafted kid from a small NAIA school jump straight to high A ball like that and produce? Wow! Let's hope he can learn to really receive! I should have posted this too... the Twins have done very well with non-drafted free agents. Jimmy Kerrigan signed last year and went to Cedar Rapids. He jumped right to Ft. Myers this year and is currently in AAA. 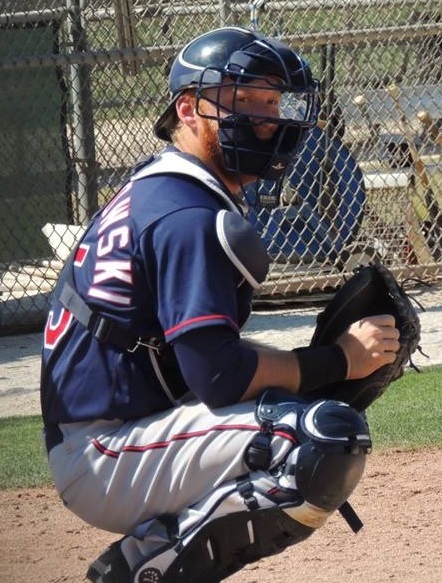 Randy Dobnak and Kevin Marnon were signed out of the USPBL last July. Dobnak is doing a really nice job for Cedar Rapids. Marnon did a nice job for Cedar Rapids before moving up to Ft. Myers. Brady Anderson was signed as a NDFA the year before and he's in the Miracle rotation. He made one appearance for the Red Wings. I want him to make it to the Show just for the absolute anarchy his name is going to cause other teams' radio and tv talent. It's going to take them months to get the pronunciation right. And it's going to be glorious. Can you imagine Sid Hartman asking about him in a post game interview?Speak about amazing stories, Sid is still at it at 90 whatever years young! 98 years old this year, and still writing, what a run! Yeah, There aren't many people older than my mother. She doesn't know any of the current players though. She says she's running out of gas on baseball. She saw all of the big name 40 and 50s players in spring training but has never been to a regular season game. He has had a pretty amazing career for a high-school dropout who got his start in the media delivering papers.